The Kenyon Review presents a reading with Stewart O'Nan. Stewart O’Nan will be reading from his newest novel "Henry, Himself," the prequel to his beloved novel "Emily, Alone." 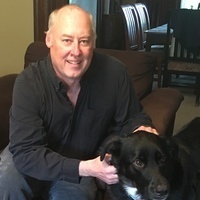 Stewart is the author of sixteen previous novels, including "City of Secrets;" "West of Sunset;" "The Odds;" "Songs for the Missing;" "Wish You Were Here;" "A Prayer for the Dying;" and "Snow Angels." His novel "Last Night at the Lobster" was a national bestseller and a finalist for the Los Angeles Times Book Prize. He was born, raised and lives in Pittsburgh.